Here is a random post on life events that have occurred recently that I meant to post about but then didn't. 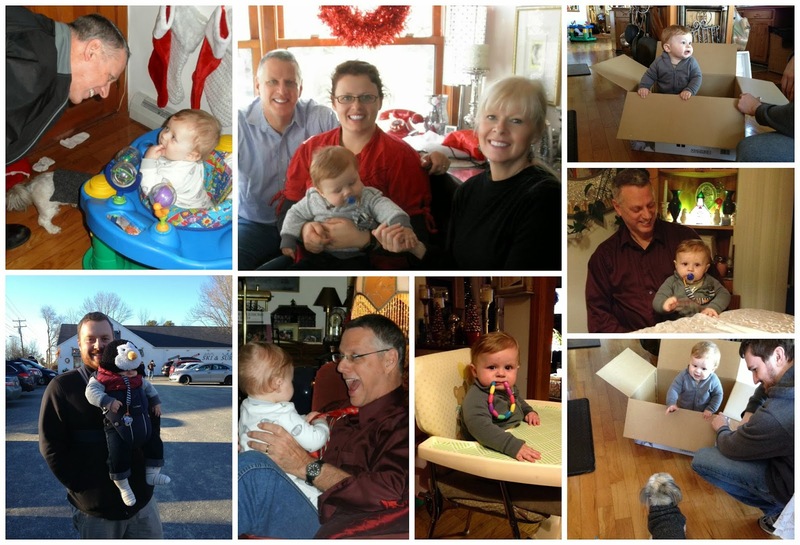 We mentioned that we took a trip (Will's first flight) up to New England for Thanksgiving but then I didn't tell you about the actual trip! We stayed with my parents and went to my aunt's house for Thanksgiving itself. It was pretty cold but we had a great time seeing family, eating a lot of great food and relaxing a bit. Will really enjoyed this beaded ring and got everyone laughing with his stern face/toy in mouth combo. 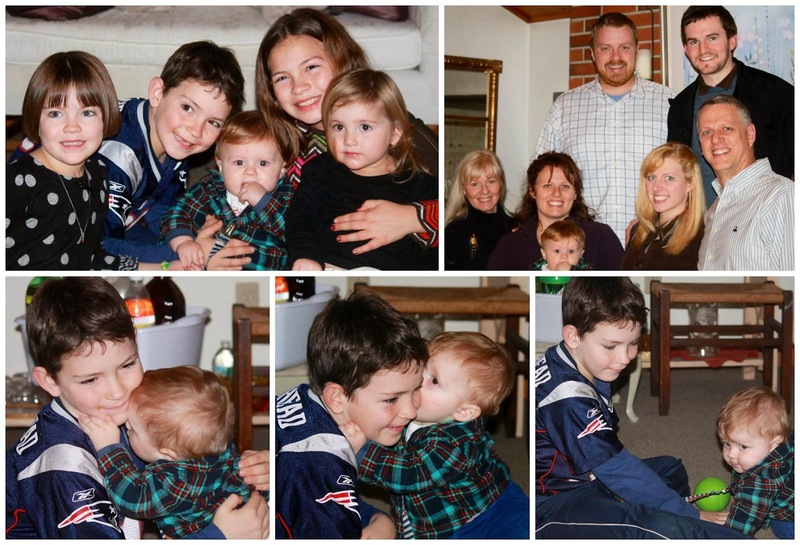 Will also got to meet all of my cousin's kids for the first time. It was so cute seeing them playing together and my cousins got these awesome pics below. My cousin's son was especially sweet and played with Will for hours. He definitely liked having another boy around. Skip ahead a week or so and I realized we had not even thought about Christmas cards. To solve this we headed over to a nature preserve with the camera and my handy tripod and took a bunch of shots. Below are some of our favorites. Of those, two made the cut for our card this year. 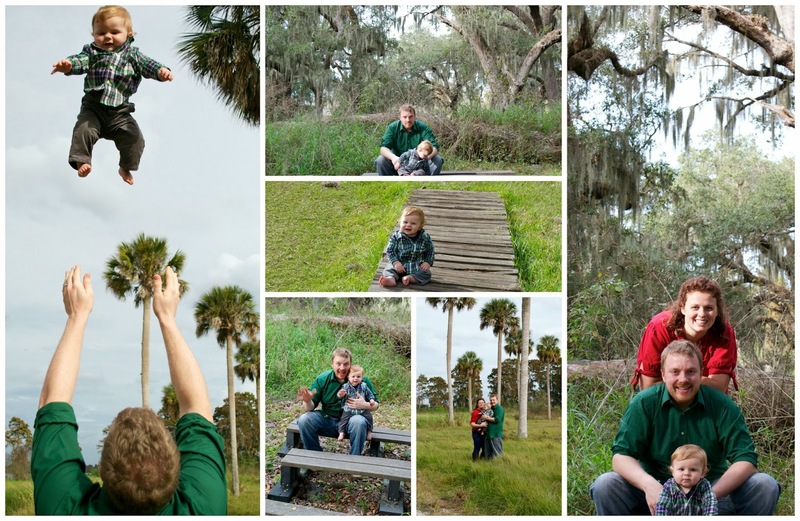 We also took the opportunity to get some cool flying baby pics. You can see one above and I put together this fun little gif to see Will in motion. This is always a good way to get a lot of giggling going.